The market moves at the speed of light. 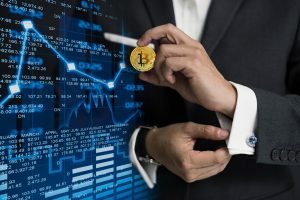 Prices change quickly, and today’s brokers and day traders rely on investment software to make those trades as quickly as possible whether in the stock market or on cryptocurrency exchanges. That same software usually offers tips and advice from other professionals in those markets, and it gives traders access to predictive analytics software. The problem is the best predictive analytics software is only as good as those who program it — at least at the moment, although investing is one of the areas artificial intelligence and machine learning will affect the most. As the computer “learns” the patterns of the market, it will get better. However, even the best predictive analytics cannot account for the behavior of individual investors. So is it worth it to pay top dollar for the best predictive analytics when some of the best human statisticians can make computations fast enough to have an impact, and often make as good or better predictions than software? The answer really depends on how you invest, who you work for, and who will bear the cost of the software. The simple equation of the trading business is that you must make enough money on those trades to cover your expenses and pay yourself with whatever is left over. Of course, these expenses are different if you are working for a company or if you trade on your own. Day trading is another unique situation, but the thing to remember is that investment software is one of your expenses you have to cover. If you work for a company, you must make a certain amount of money to stay employed. In addition, without bonuses, your base salary will typically only be enough to cover your basic expenses and nothing beyond that. The advantage you have is that the company may already cover the expenses of software or other data analytics as part of your compensation and their desire for you to succeed. If you day trade for yourself, your expenses can literally be the death of any profits at all. Just as traders who work for a company need to have a certain amount of assets they manage before they really start to make good money, you need to have a lot to invest. The numbers say that actually you will need around $500K to make it in day trading for yourself. Essentially you need “fifty times your monthly expenses in investment capital.” So if your monthly expenses are $2K, you will need $100K in investment capital. In short, if you want to make money, it might be tough to afford investment software at least at first, and it is not a smart investment. The problem is that the best data is only data, and often too much data is just as much a problem as not enough. The overload of data is often too much for one person to decipher. The evolution of big data is such that nearly every business is being impacted by it, but individuals either need help from an analyst with managing all that data or they need software that will help them. So what is the difference between a data analyst and a data scientist and the software they create? Data Analyst: A data analyst usually takes a set of defined data, as in market data in the case of investment, and uses it to draw meaningful insights The best of them not only have the technical skills needed for the job, but they can also communicate that data to a non-technical audience. Data Scientist: These are the guys who program the analytics software that performs the above functions for you. They write algorithms to analyze those sets of data, and their jobs involve a lot more coding than actual statistics work. You can get your data from either source, but if you have your own software, you can set the parameters for analysis to your specific needs. In this case, it is often worth the investment unless you work at a firm that has a large analytics department and analysts who can handle your requests. They may even have proprietary software. However, if you are trading on your own, often software is worth the investment. If anyone could accurately predict the future of the market, they would be a billionaire, because everyone would want to know the secret they held. However, we do know that the future of business and investing involves predictive analytics, and that artificial intelligence and machine learning are vital to success in these areas. When will powerful investment software be affordable for the average day trader working for themselves? This is a difficult question to answer. The simple answer is “sooner than we think.” However, it is still important to understand that even with the best of technology, trades are still not instantaneous. While there are ways to achieve the fastest and best order execution, there are still lags, and in the area of volatile stocks, they can mean big money. The faster trades get, the better for everyone. The other wildcard is the security of personal data. There are many mistakes that even the largest of companies make, leaving them vulnerable to cyber attacks. With the passage of GDPR, the way data is stored and used must be much more transparent, and security is an even higher priority. If you are trading for yourself, you must guard your data carefully, but if you are managing the assets of others, the security of your investment software is even more vital. Is investment software a smart investment? If you can afford it, the answer is yes. But you must be managing enough assets or trading enough of your own money to make it worthwhile. The key is covering your expenses and making money, and you’ll have to choose software carefully to do so.